It is very comfortable and gets above average gas mileage on the open road. 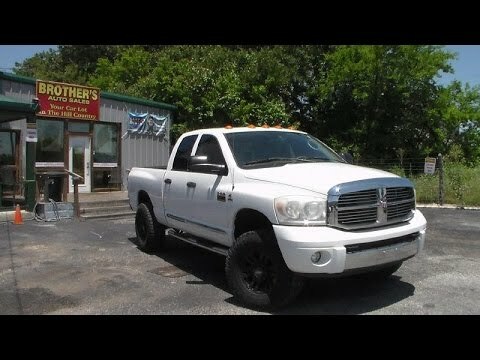 I have a white, short bed Dodge Ram 2500 4 door pickup. It is fully automatic, is extremely comfortable ( just a little rough riding) and large enough to put my grandkids car seats in the backseat. It gets good gas mileage on the open highway, but it does drop in town. I love that there are power plugs in both the front and back of the truck, so charging phones and other technological gadgets is not an issue for those setting in the back. It has lots of legroom and a great air conditioner/ heater. Love the truck overall. The highlights on my truck is that it has a lift and system in it. I love my truck has no problems and I am not selling it the truck has been really reliable and dependable I recommend people to go out and buy one of your own the truck has a really good gas life doesn't cost mo. r then 40 to fill her up plus the extra space in the truck as a crew cab allows for you to put a system or the nice room for kids. Fun for everyone in the family. We love this vehicle because it does well in snowy weather, there is plenty of room to hall. There is plenty of seating for the whole family. It has heated seats and sirius radio. There really is nothing to complain about. Most of all the kids really enjoy being in a “big truck”.